We don’t have an advertising budget, but we have hundreds of enthusiastic cyclists. With your help, we’ll succeed at spreading the news by word of mouth and decentralized flier distribution. We hope you can join us all week long! 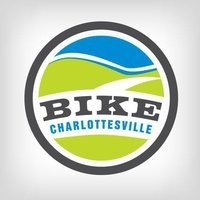 If you can only come to a few events, please come out on Mon, Wed, and Fri.
I’d like to see a Bike Charlottesville/Albemarle. Me? I’ll be bringing my good bike to town and riding as much as possible.